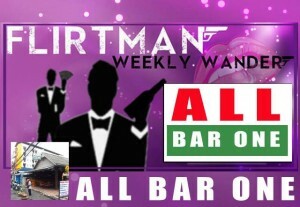 For this weeks wander Flirtman thought he would boycott the overly-busy gogos for a more gentile atmosphere and find some musical entertainment for a change. This week i stumbled on a nice bar called “All Bar One” located on Soi Diana just beside the Areca Lodge Hotel. This bar falls into the category of no bells or whistles and a slight run-down appearance but look beyond the surface and what you’ll find is an unusual live entertainment venue. Unusual because the thai singer in this place doesnt sound like a thai singer and his choice of songs are completely different to any other music venues in town. This guy’s forte is an the realms of tom jone, beatles, rod stewart..in fact your more likely to think your in the benidorm entertainment strip such as talk of the town or stardust rather than Pattaya City. Upon chatting to the performer it seems he is Bangkok born and has been singing in and around Pattaya for over 10 years and although he loves the Big Mango atmosphere, he finds it impossible to actually get anywhere fast in the big coty so he opted for the more serene resort of Pattaya. The layout of this bar is a bit mix and match and seems to have been thrown together with any old tables and chairs that have been lying around. Their also is a bar stool area although be warned the plastic seat covering can make sweaty bum time come quickly. Of course the problem your gonna have is actually getting a seat as this place is hugely popular with singing foreigners on holiday. Also watch out for the female singer that comes and goes inconsistantly…but when she does appear then the 2 singers alternate 1hr on each. Beers in this place will set you back a reasonable 80 baht for a San Miguel and it’s also a great area to just watch the worlds go by in the busling Soi Diana. (note you can even park your bike outside the bar as they keep spaces for patrons)…oh and unlike some other bars with music , they also have their own toilet !